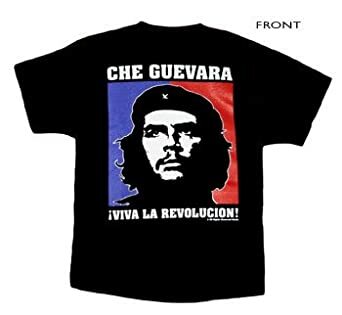 Irony is: wearing a Che Guevara t-shirt manufactured by a huge multinational corporation. And irony is this monolog on the subject of dialog. Dialog comes the two Greek parts: “dia” and “logos.” Logos is the words or thoughts. Logos is the root of “logic.” We also see logos as “study of” in words like biology, geology, anthropology – and scientology. Interestingly, logos is the term that the Gospel of John, in its original Greek is using in those famous opening lines. John was clearly deeply influenced by Greek philosophy which developed a concept of logos as the divine principle of reason that gives order to the universe and links the human mind to the mind of God. Words, logic, study, thought: the divine principle of reason. The basic order of the universe parallels, or models, or is the manifestation of, or just IS reason, thought. And this logos, you know, says John, isn’t just WITH God. The logos IS God. I’d have to say that’s a good idea. "Good job, logos -- making sure everything doesn’t happen at once." Dia – log, then, is dia – logos. “Dia” does not mean two. It means between or among. Dialog is the mystic logos that comes into being between us, among us: the shared logos. What Lake Chalice would like to do in this series on dialog is note some ideas about dialog developed by David Bohm. 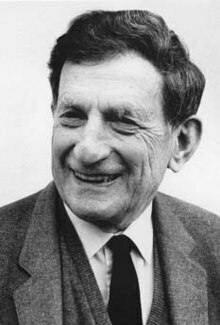 David Bohm was a very interesting man: an American-British quantum physicist who died in 1992 at age 74. One of the most significant theoretical physicists of the 20th-century, he thought a lot about very difficult things to think about – like theoretical physics, and also the nature of thought itself. In trying to get thinking to square with the ultimate nature of reality, as explored in physics, Bohm noticed that thinking itself is an inherently limited medium. Maybe our minds somehow reflect a divine logos, but they do so in a very distorting, limited way. The truth is before thinking. So spiritual teachers, like me, will typically instruct: plunge into silence. Train ourselves to be present to the silence that underlies and surrounds the noise of thinking. David Bohm’s approach is – at least on the surface – a bit different. Bohm says the cure for the inherent error of any thought is encounter with someone else’s thought. In other words, dialog. Of course, other people’s thought is just as wrong as mine is. The point isn’t to arrive at some better opinion to settle into, but simply to unsettle our opinions. He’s not saying get rid of your opinions. Just: unsettle them. The great value of dialog isn’t that we get better or broader opinions, but that we come unsettled from any opinion, unsettled from any definite thought. This is part 1 of 4 of "Holy Dialog"
Next: Part 2: "Remember That We Are Insane"